In the olden days, treating the eye area was my number one priority in skincare and I did not hesitate to spend hundreds of dollars on a single item. It is because that was where I saw the first sign of aging and obviously I panicked. Anyone remember that feeling? Sadly though, after spending so much money only to see very little result, I have become to disbelieve in the effectiveness of eye treatments in general. It maybe a shock to some of you, but I haven't used eye cream for years. So maybe I was in the perfect stage to try some of new eye treatments despite of my skeptical attitude towards "all" of them. To be honest, when I was asked to try the NAT. 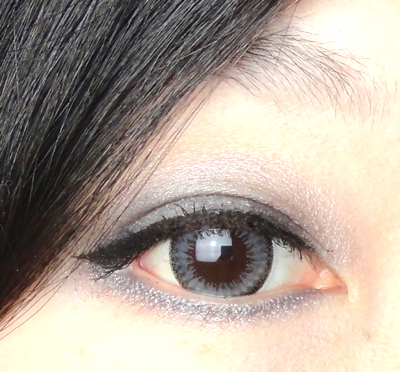 Agebloc Eye Gel and Eye Cream, I started with no prejudice but with very little expectation. I have to take everything with me even when I fly and check the bag, so it was hard for me to come up with just five products that would do my face. I even considered buying a new makeup item (for this tag!) that can multi-function as blush and lip color cause I was stuck at 6 for more than a week. - This is just so typical of me, by the way. I believe this tag is meant for minimalistic look and effort, but I manage to turn it into another reason (excuse) to buy more makeup. 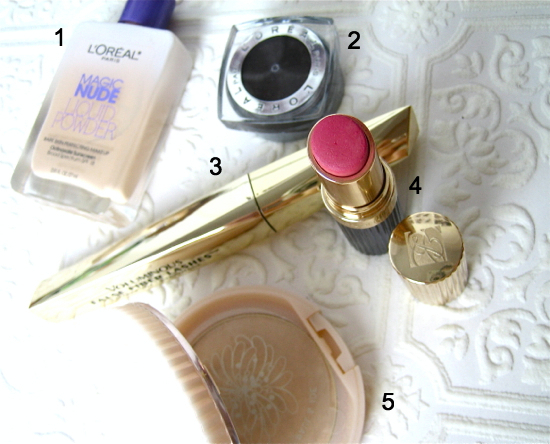 Anyway, with my sensible blogofriends' advices, I finally could select my five. Apparently, you can use your lipstick as blush (duh). When everybody was busy with the Sephora VIB sale, I just made a tiny order from Beauty.com. I don't know what was wrong with me at that time but I ordered twice from Sephora just before the sale started. (Oh, I know! It is called impatience which leads me to sing this out loud. "Be patient is a very good advice, but I very seldom follow with. That explains the troubles that I'm always in~~"
I was still feeling guilty yet compelled to order "something", so maybe that's why I redirected my mouse towards the other site. 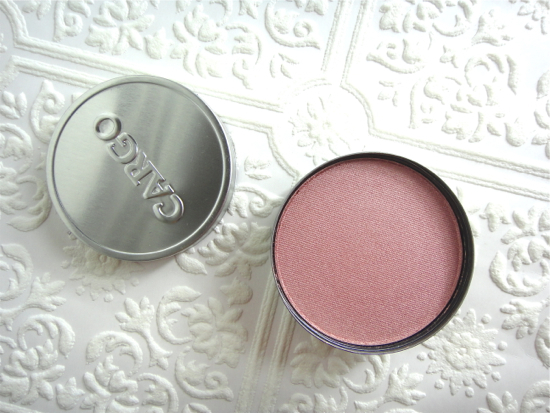 All the justification aside, Cargo blush Louisiana actually fits the bill and I am so happy that I got it. It is true that I was a little underwhelmed by my first box from Beauty Box 5, and I was initially mistaken thinking that was the November box. However, I received another one shortly after. Turns out this is the November's, and I am quite pleased this time. 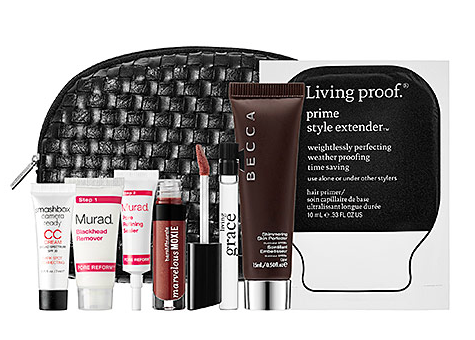 I recently received a deluxe sample bag with purchase from Sephora, and it contained some nice stuff that actually made me want to use and review on them. 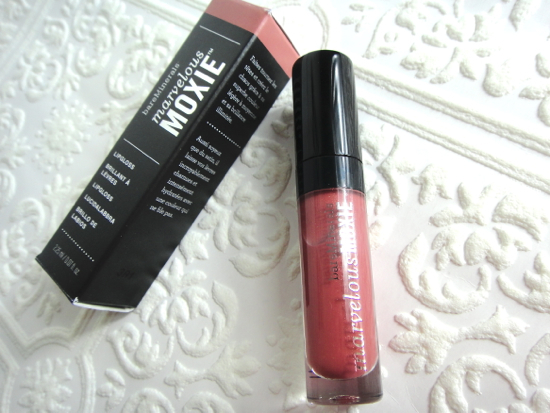 A mini Marvelous Moxie Lipgloss in Maverick color was one of them. There were four different sample bags initially. This one is called "Tinsel Twinkle Perfection Sample Bag", and I believe it is still available on the site with $25 purchase. I see no relevance between the name and the goodies, though. I was happy when I heard about the Lipstick Bar from VeryHoney.com because I was just about to run out of space for my ever growing lippie collections. Sure, I can always box them away or put them in drawers, but we all know that it is just much harder to reach for something that is not readily visible, yet we don't want clutters on our vanities. 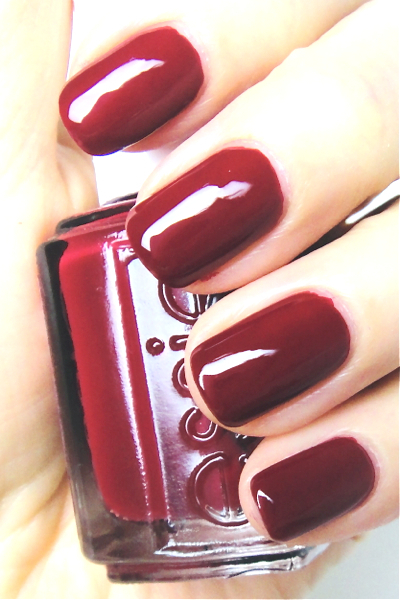 I discovered this shade about a year late since Head Mistress was a part of Essie fall 2012 collection Stylenomics. 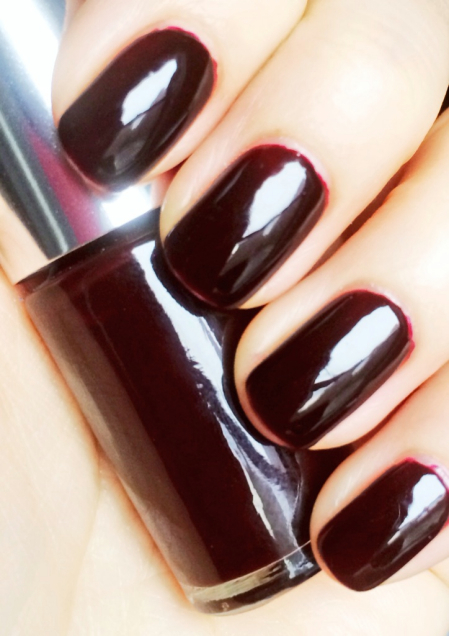 As always, Essie didn't forget to include a classic red in the bunch and Head Mistress is that red. It is not very unique but still a gorgeous classic one. For me, BB cream is just greasy ashy version of cream foundation with very limited color range and very little sun protection. It is just difficult for me to believe that one single product can take care of all our skin and cosmetic concerns. 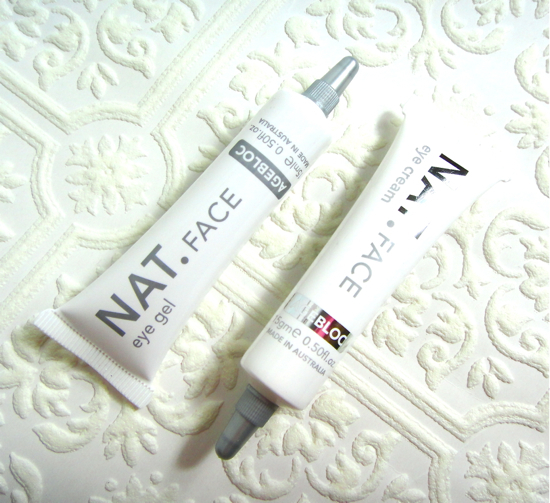 Despite of my cynical view for BB cream in general, I have been curious to try CC cream, the next generation. I still have very little faith that CC cream would actually improve my skin condition, but I expected it to provide better color match since it is supposedly very smart(!) and adjusts to our skin tones. 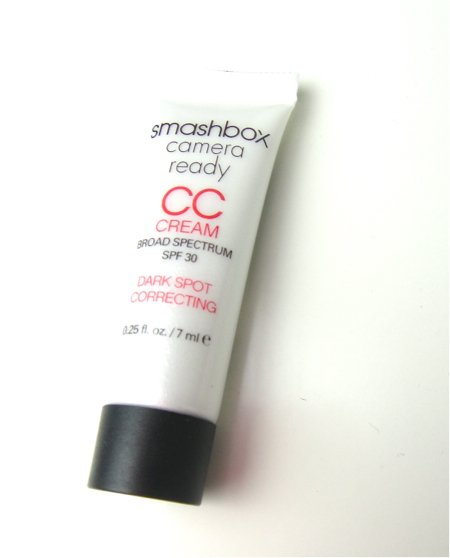 So I was happy to receive a generous sample of Smashbox Camera Ready CC Cream from this deal from Sephora. 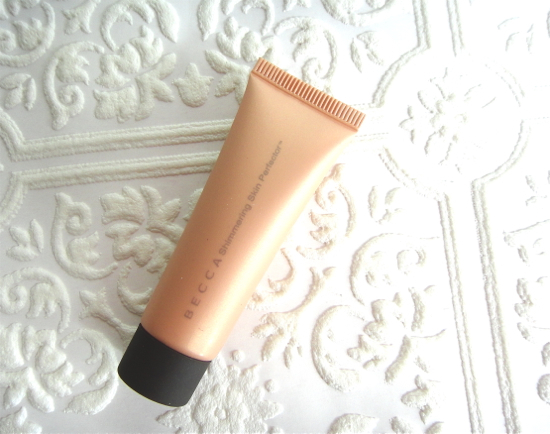 The tube is slightly pearly just like the full size tube and feels very sturdy not to mention it contains plenty of product. People, this is how you are supposed to put samples together. It actually enables the consumers to use the product and learn about it. I have just discovered this is October box. I thought it was November because that was what they told me then I got another box shortly after which was the November's! 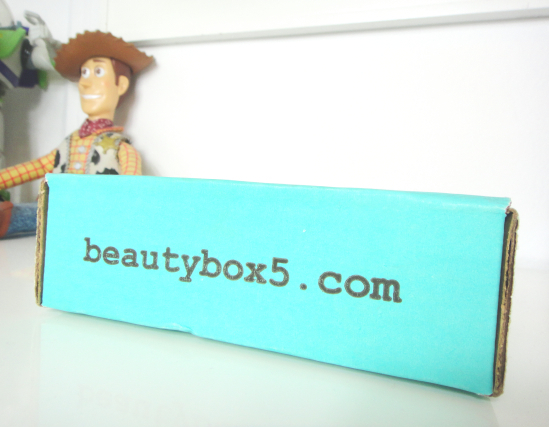 Beauty Box 5 (BB5) is a monthly subscription service that delivers 5 cosmetic samples to your door for $12 a month. I received the November box as a part of their Blogger Review Program. So soon I fell off the wagon - meaning I broke my lippie ban. When I reviewed the plumy Revlon Lipstick, I expressed briefly about how I wanted to have this cult favorite again in my stash. 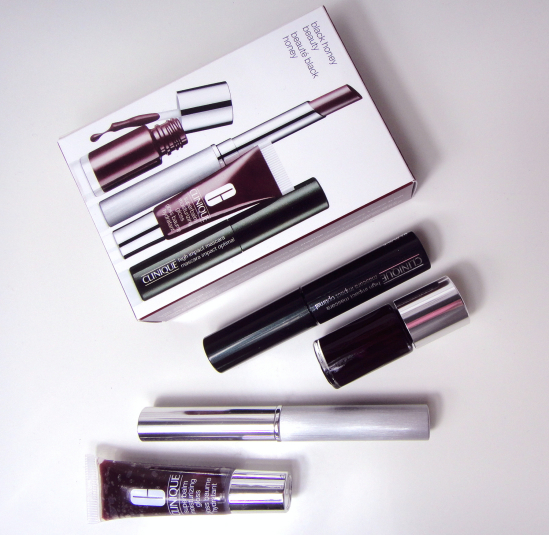 I saw this gorgeous set on Sephora not too long after, and I still wonder whether it was a blessing or a curse. I received these as a part of the Halloween sponsorship program offered by PinkParadise. I explained I would prefer natural looking design that suits my makeup and life style better, and they graciously agreed to send Hana SPC Natural Grey to me. Hana SPC is also known as Vassen, and their contacts have higher water content of 42% which ensures more comfort in wear.